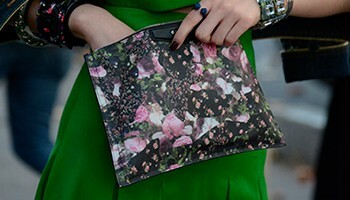 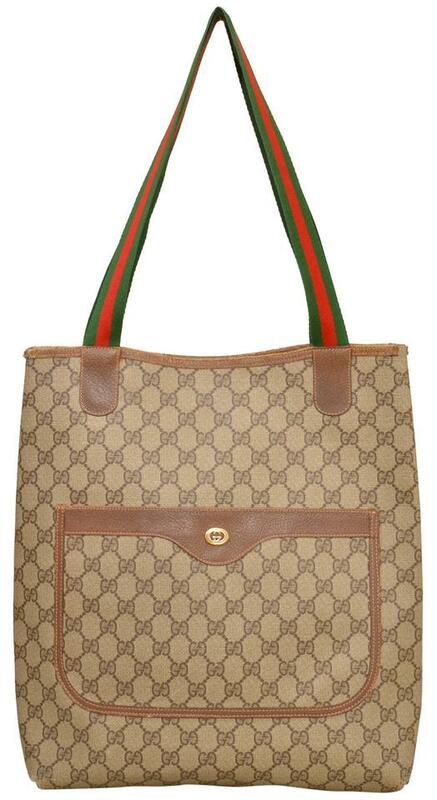 This bag is in presentable pre-owned condition with signs of age and wear. 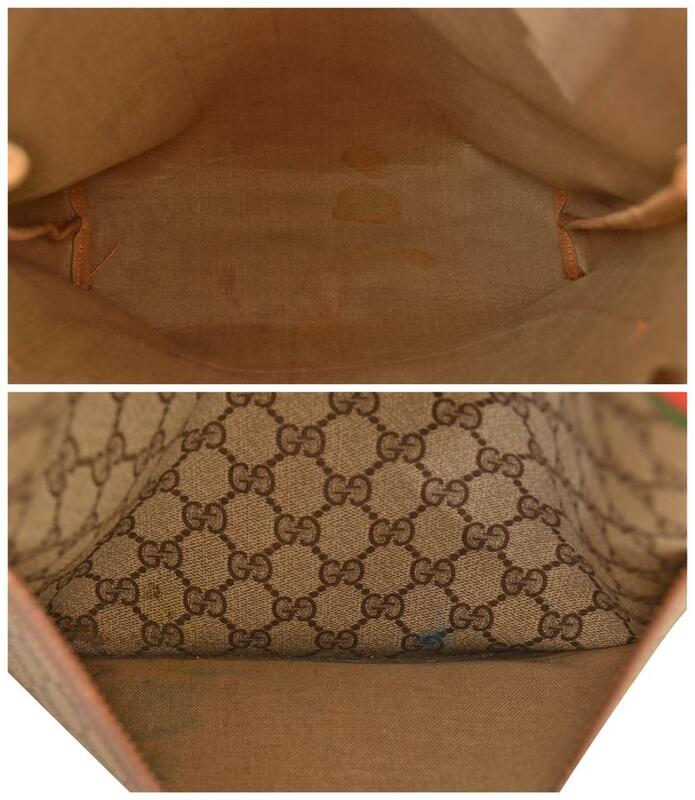 The monogram patterned exterior looks quite good throughout aside from some wear and distress on the bottom corner edge tips - see up close photos. The leather shows some typical aging and wear including small surface marks, scuffing on the top opening trim, and some distress to the top opening corners where the leather has started to tear and peel away - see photos. 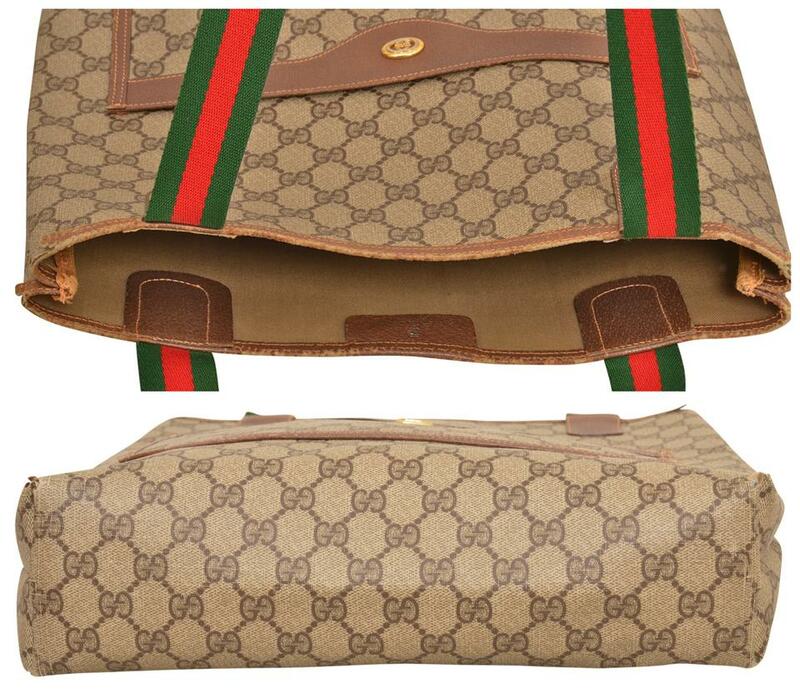 The leather can be improved very easily by using some good saturating leather conditioner. 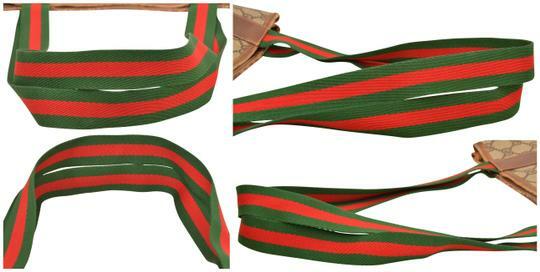 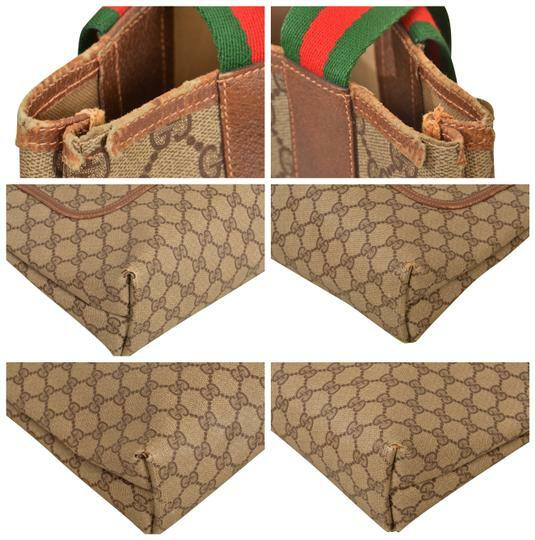 The striped shoulder straps are in very good, very clean condition. 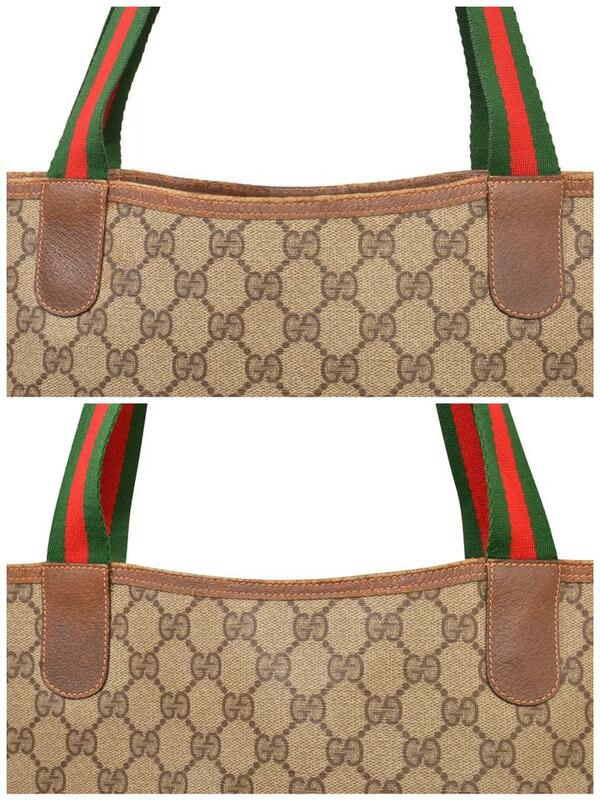 The interior lining has some blotchy discolorations toward the bottom of both the main compartment and front pocket. 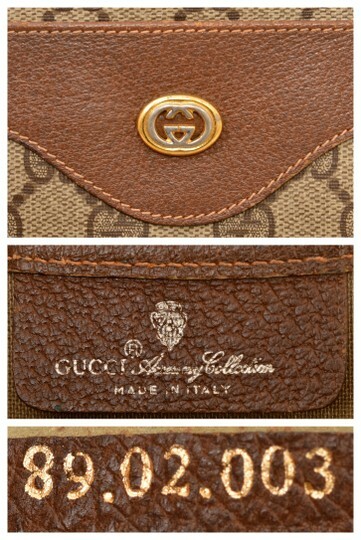 The Gucci logo medallion hardware detail is in good shape with pretty good gold and silver coloring and some light tarnishing / signs of gentle aging. Overall, this is a pretty nice bargain priced Gucci tote. 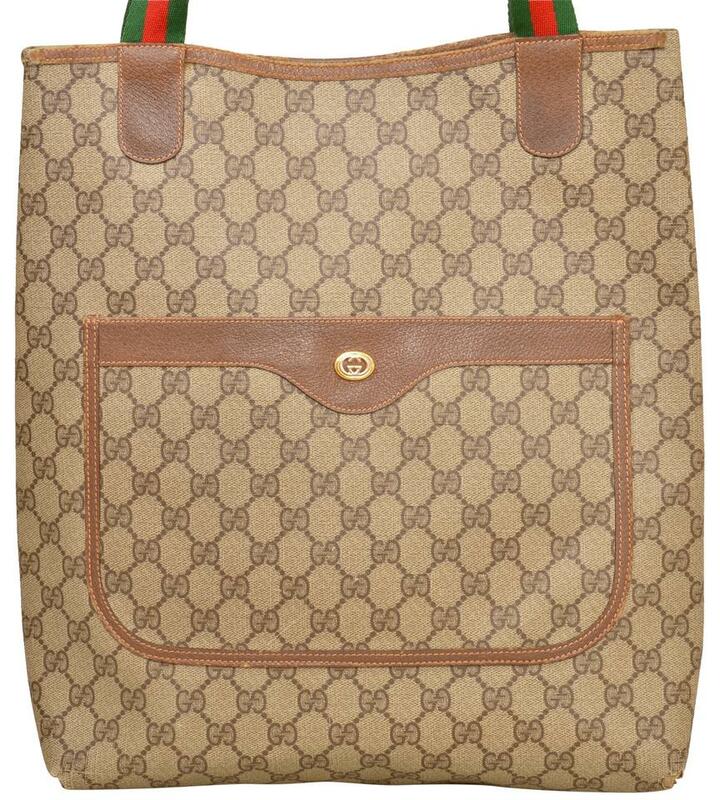 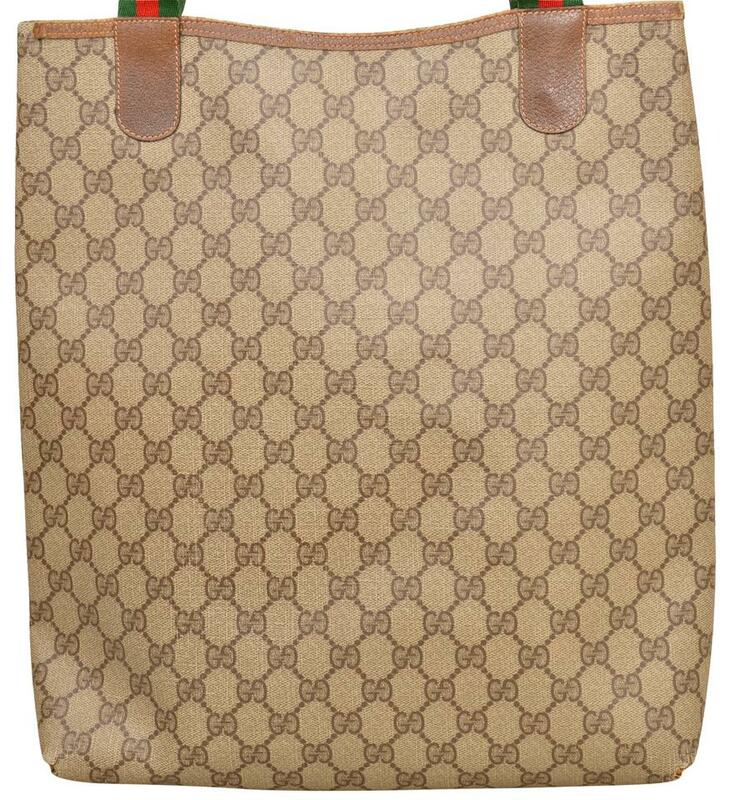 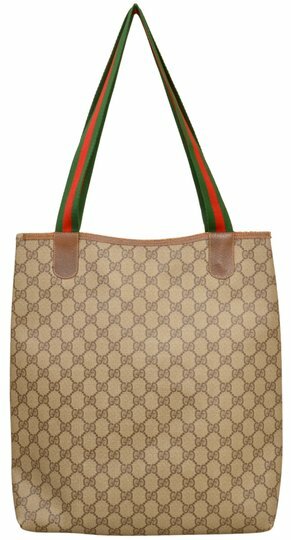 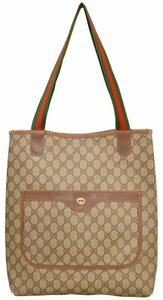 Measurements: Length: 14.00" Height: 14.50" Width: 3.35" Strap drop: 11.00"
This iconic GUCCI shopper tote features the classic supreme GG monogram pattern with brown leather trim and green / red fabric striped straps. 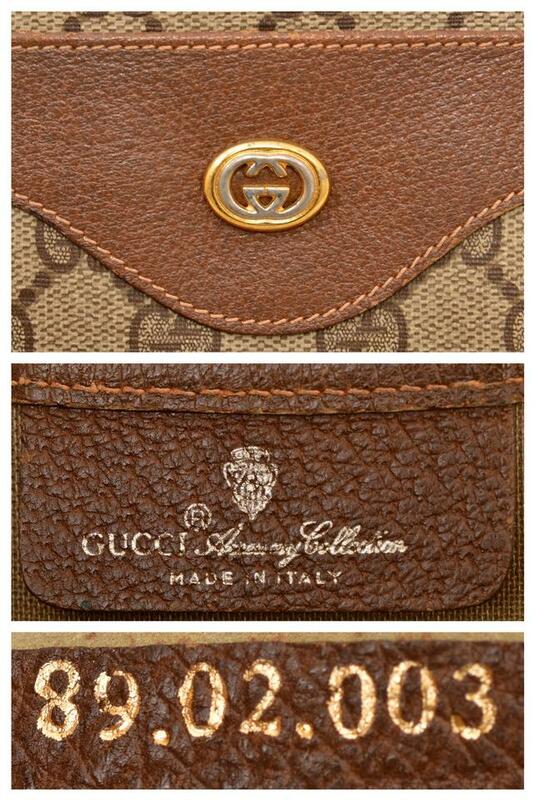 The front features the classic oval shaped gold / silver-tone Gucci GG medallion. 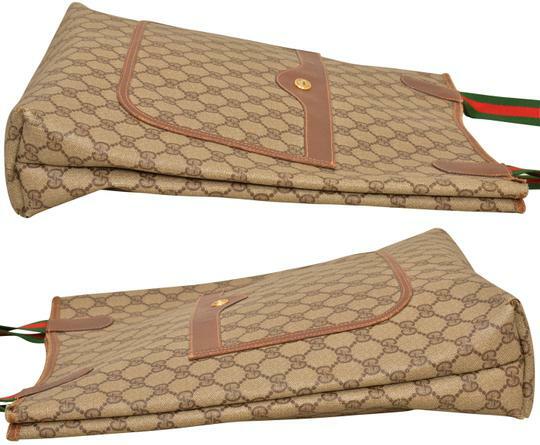 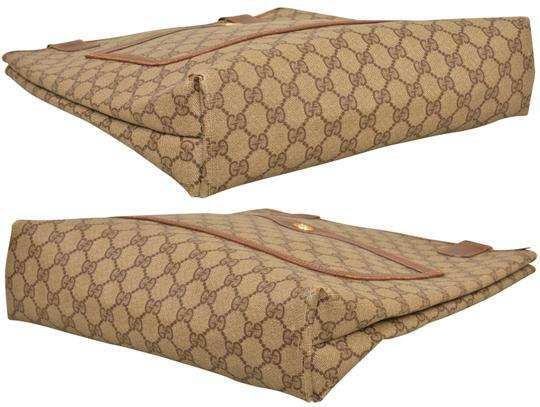 The main compartment is the ideal size for carrying your laptop, tablet, documents, writing pads or folders. There is an additional sleeve pocket on the front.